Minor Rubber is a leading manufacturer of high-quality rubber mil-spec grommets specifically designed to meet the demanding requirements of military and defense applications. Our military grommets are used for electrical insulation, sealing, noise control and vibration isolation and are manufactured to meet mil-spec and regulatory standards. Minor Rubber serves the OEM and replacement part markets, and maintains inventory for industrial distributors. 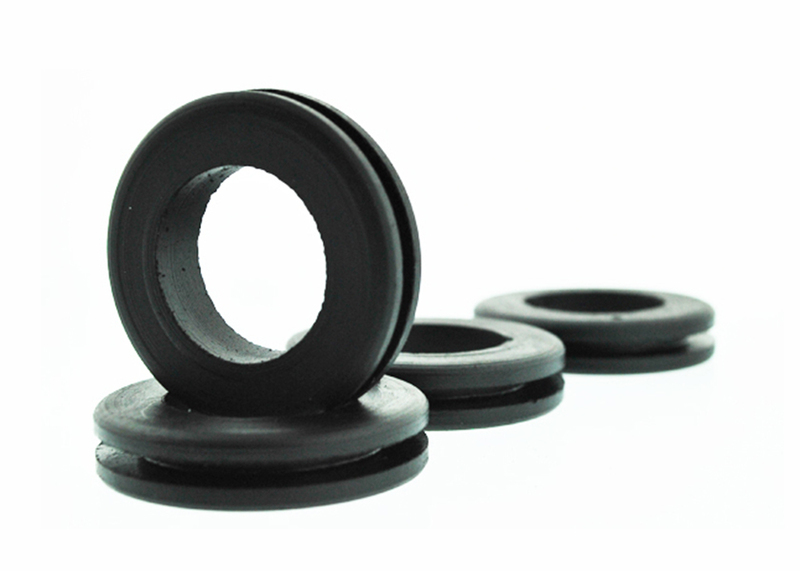 Our mil-spec rubber grommets are available in two compositions. Composition A –Manufactured using nitrile (BUNA-N), Composition A grommets are used for applications required resistance to ozone, oils, and ultraviolet rays. Composition B – Manufactured using silicone, Composition B grommets are used for applications requiring resistance for high and low temperatures, ozone and ultraviolet rays. All mil-spec grommets are manufactured in the USA in our facility located in Bloomfield, New Jersey. The materials are available in commercial and specification grades of NASM 3036 Composition A and B. At Minor Rubber, we have earned the reputation for manufacturing high-quality rubber parts. Our attention to detail and commitment to excellence for every project, coupled with our experience and knowledge of the industries we serve, ensure that your mil-spec rubber grommet will meet or exceed your expectations. Call today to see how we can be of assistance.